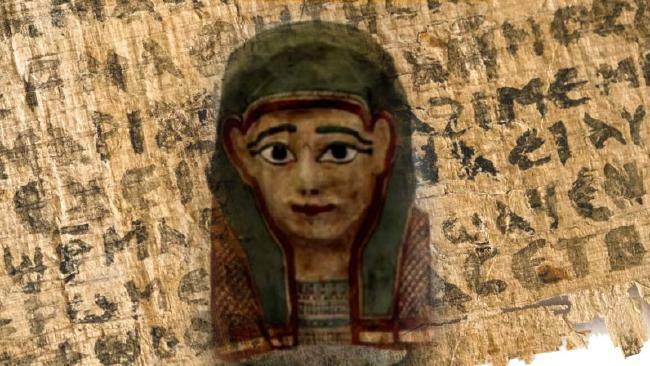 The oldest known gospel text may be found in a mummy mask, some researchers believe. The AD90 dated section of the Gospel of Mark fragment of papyrus scrap could be decades older that any previously discovered Gospel texts and was found using carbon analysis. In ancient times, the Pharaohs were buried with delicately carved gold masks but the common people had to use papyrus masks made with linen, paint, and glue as while gold masks were impossible for commoners, papyrus was still relatively expensive as it could be reused for documents. 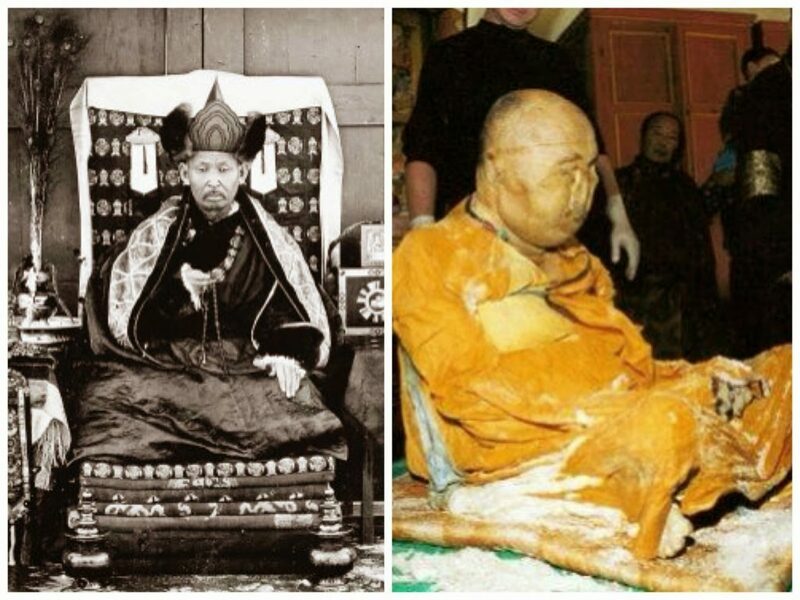 A recent account of mummified corpse includes the Buddhist Monk Lama Dashi-Dorzho born in 1842. He decided to die in the lotus position at age 75 in 1927 and asked his acolytes to examine his body for 30 years where his body was exhumed and reburied in a secret grave against the Stalinist forces. The one to lead researchers to the lama’s unmarked grave in 2015 was Amgalan Dabayev at age 88 was present at the first exhumation and now mummy of Lama Dashi-Dorzho is displayed in the Ivolginsk monastery. Mummy in a statue. This is what a Dutch art collector found when he purchased a 14th-century statue from china. 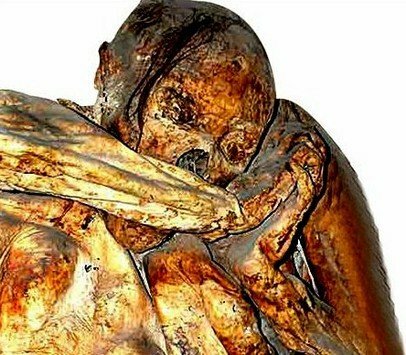 The thousand-year-old mummified monk is found to have been left open for two centuries before being turned into a statue. 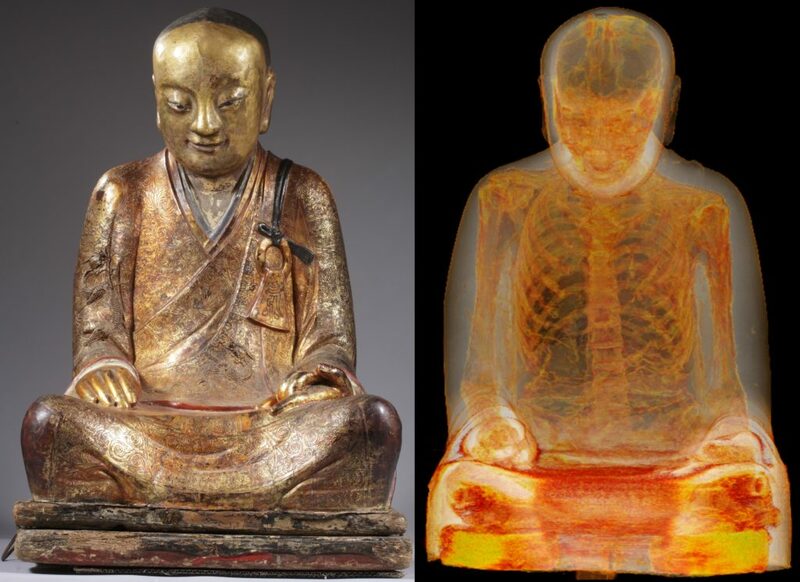 CT scans in 2014 found the organs missing replaced with paper scraps written in Chinese characters and is said to indicate a Buddhist monk, Liuquan as the mummy. The monk is said to have self-mummified himself by drinking a toxic tea along with a special diet that is said to be highly revered at the time as the ancient process is very excruciating. A mummy named Ignacia Aguilar found in Guanajuato, Mexico is said to be one of the most intriguing mummies in the world due to the story behind Ignacia Aguilar. During a widespread cholera outbreak, Ignacia Aguilar was pronounced dead and was promptly buried. Unfortunately, she had a minor heart condition but was alive at the time of death. When the body was exhumed years later, it was found that she was face down in the coffin which was covered with scratch marks with a mouth full of blood from gnawing on her own arm, along with a mouth frozen in a scream. This mummy is now displayed in the museum along with the other mummies from the vicinity. In the royal grave cavern, south Cairo, a mysterious mummy was found in 1881 whose face was frozen mid-scream. This unknown mummy was designated ‘Unknown Man E’ but was later given the nickname ‘the screaming mummy’. 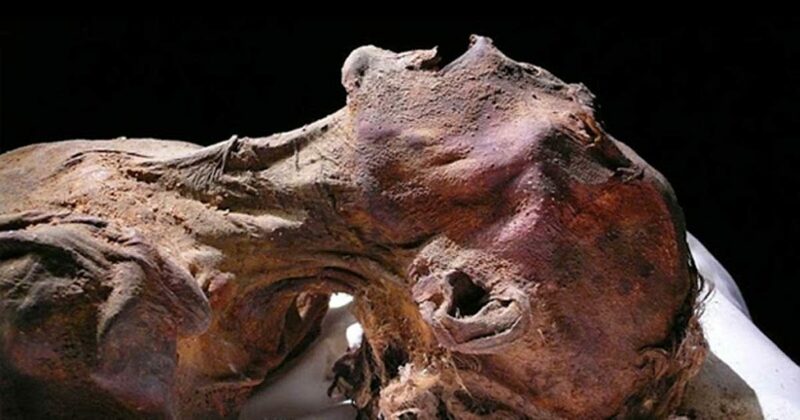 There are a number of theories to the identity of the screaming mummy with one being the mummy was part of a disgraced royalty or a foreign prince or another theory states that it may have been Prince Pentewere that was accused of plotting against Ramses III, his father.